The Starlight collection features woven rugs executed in a range of dusky colours. The neutral colour palette of each piece gives it versatility to match most shades of a certain colour and be a practical addition to your household. In addition the rugs feature a very soft surface made using a mixture of wool and viscose that are very pleasant to the touch. 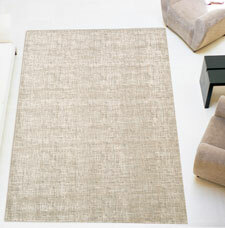 These soft woven rugs are available in numerous designs, colours, and sizes including x-large sizes. Fabric: 70% Viscose 30% Wool.